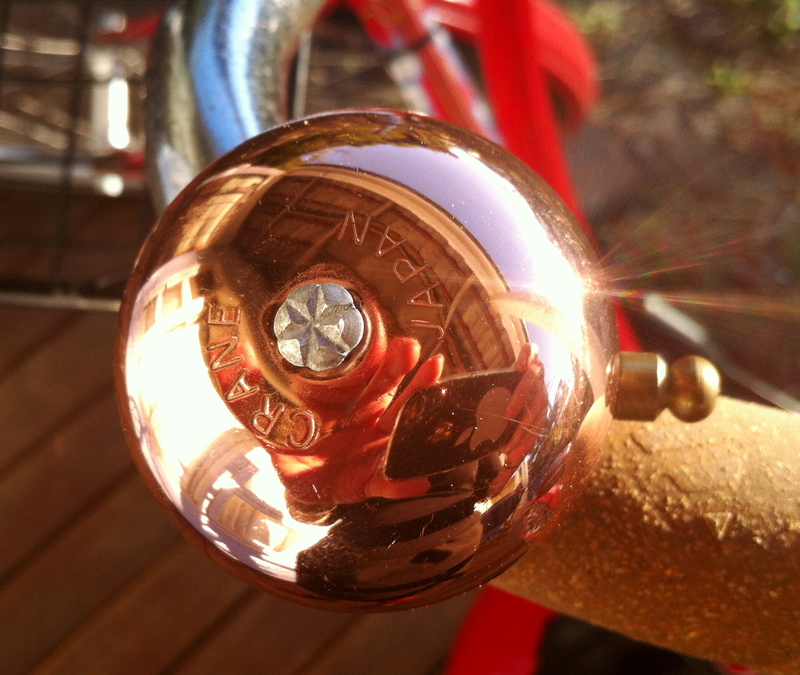 There is nothing like the lovely sustained ring of a brass bike bell, and my copper one, shown above, is no exception to this. I also love its coppery colour, which has weathered very well and requires no polishing to hold its shine. 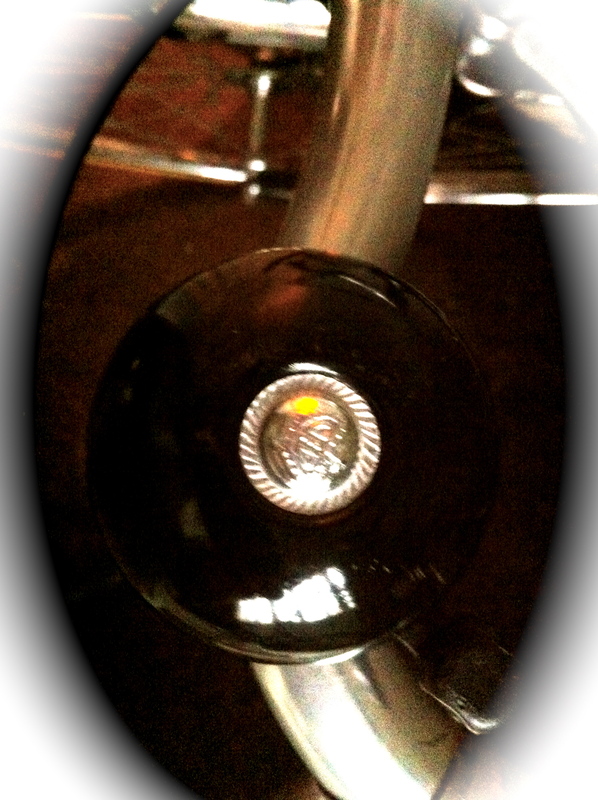 This one on my daughter’s bike has a truly beautiful ring to it, which resonates for ages. 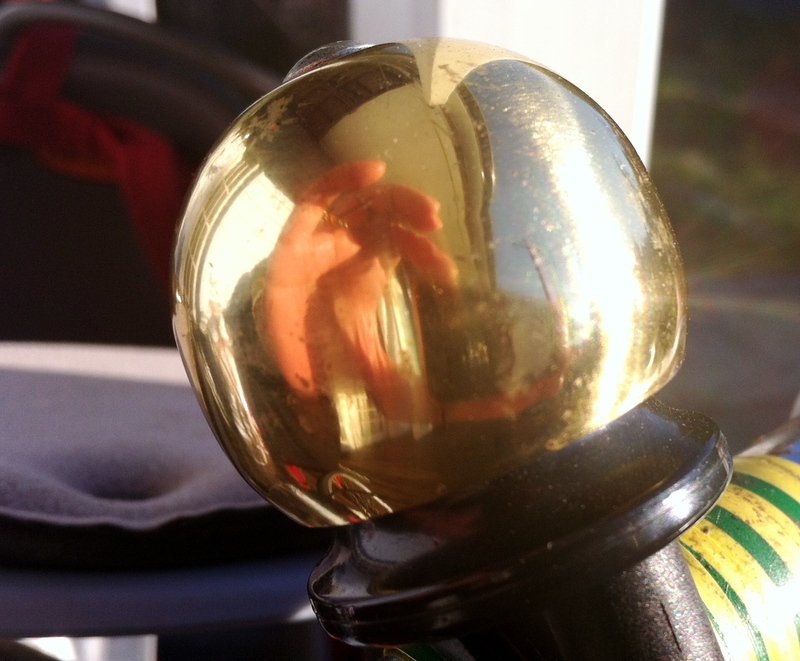 I also like the old fashioned “brrring brrring” sound of the bell on the Bennett bike I have, as it reminds me of the bell I had on my bike as a child …. This bell also has a quite regal look to it and I will be showcasing it soon when I do a final write up of the Bennett restoration. The modern bell which I have on my Giant has a retro look in its shape but a lovely “ding dong” doorbell sound to it … I have noticed that these bells are also available in an oversized version, which I find quite appealing for a retro bike that does not have a lot of gear (lights, cables etc) on or around the handlebars. In fact I am quite tempted to go to my local bike shop and get the one I know he has in stock for a very reasonable price for my next restoration project. This entry was posted in accessories, Bennett, My Bikes, Vintage 1950s Speedwell, Vintage bike and tagged bell, Bennett, restoration, vintage. Bookmark the permalink. 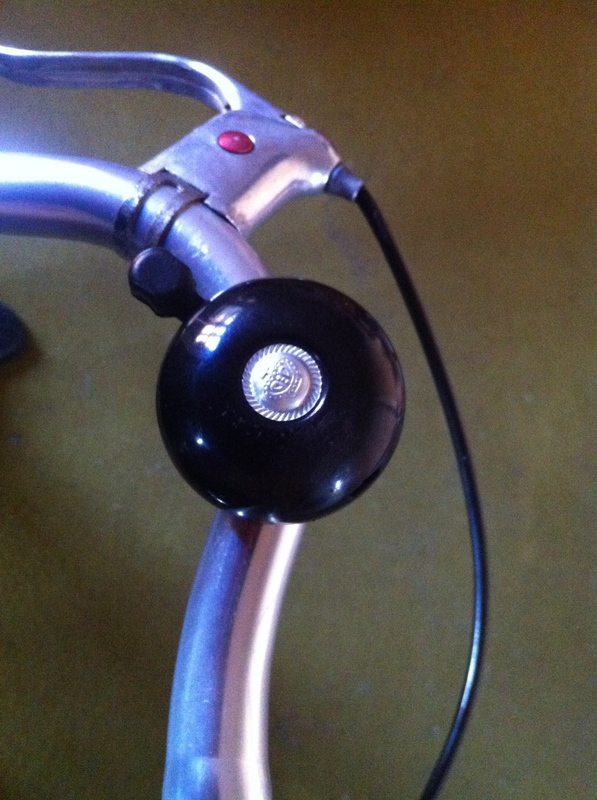 I’m looking for new bell for my Ross bike. Thanks for the ideas. I think one of the oversized ones would look great on the Ross, Annie. ooh ! I’d like one of those spherical ones ! It has a great tone to it Peter. Yeah if you out your ear close to it you can hear the note swirling around inside like a singing bowl. It’s from BSC bikes in Melbourne – not branded, so maybe they designed it themselves? Not sure. I’ll see if I can find out for you, the spherical one does not appear to have a brand name on it from the other pictures I have of it. Brass, copper and silver(alloy)… I havnt seem them for sale in Newcastle but they are fairly common in Sydney and Melbourne shops. It was from glo bikes in marrickville. 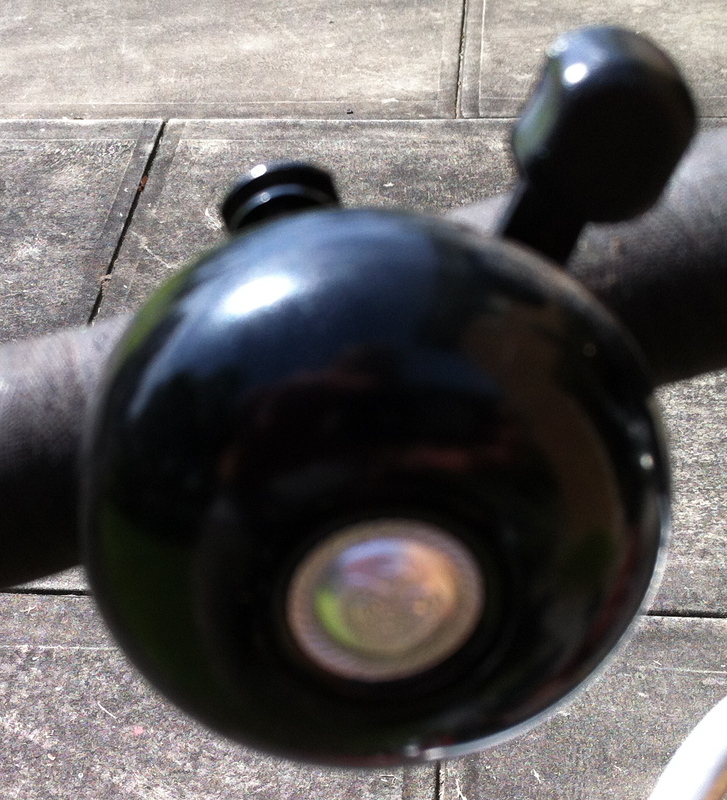 The spherical one was from BSC bike in Melbourne. It had no packaging, they had it on a display model bike and when I required about whether they sold them seperately the sales boy showed me a great big box of them..,, whichskes me think they design and get them manufactured in house…. I’m kicking myself for not asking more questions about it. Hope this is helpful. 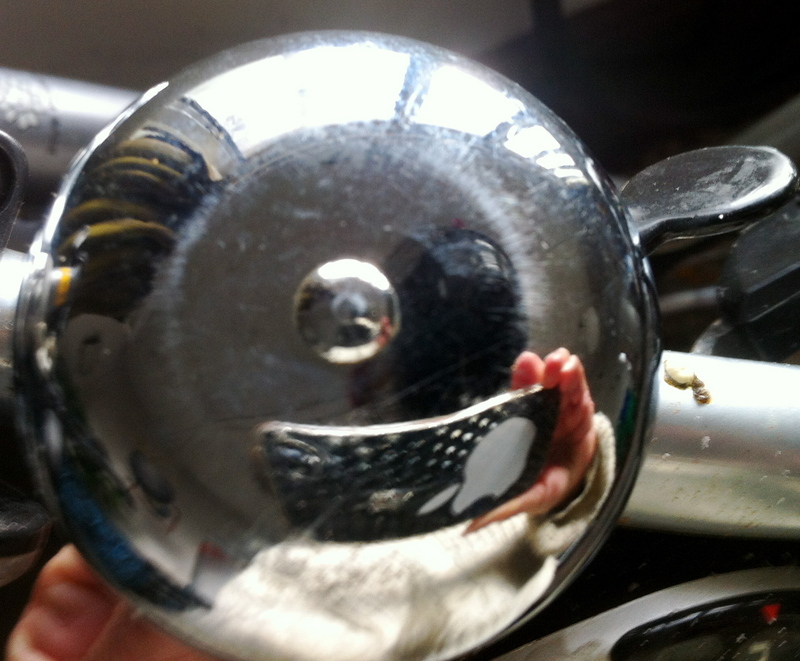 These are retro brass bells with stainless steel mounts, made in England.